Environmental engineering company Winova was founded in 2006, and develops and markets products for industrial water treatment and other types of water treatment. With a unique technology Winova has developed a range of disinfection products for consumers and health care that are sold under the brand name "Hygiene of Sweden". Winova is owned by Ulf and Philip Wilhelmsson. Winova formed in 2012 a joint venture with the Indian investor Venkatesh Sivi-frame where Winova owns one-third of the Indian company Winova Enterprise. The company's personal care products are now available in about four thousand Indian stores. The intention is to introduce water treatment products in India. Recently, the company received funding from the Swedish Agency for Economic and Regional Growth to develop a product that reduces chlorine use in swimming pools and spas. Winova has three employees and had sales in 2011 - 2012 of about 1.7 million. The joint venture company in India has thirty employees working at a filling factory and a laboratory. Altogether, Winova has 44 employees and laboratories in three countries. During the summer of 2016 articles from our growing archive will be republished. This one was first published in November 2013. Growth of bacteria in the water and on surfaces creates significant problems worldwide. This has resulted in different approaches to bacterial control, such as ozone treatment, irradiation with UV light, and the use of chemicals (biocides). The biocides kill bacteria and other microorganisms, or inhibit their growth. The efficiency is usually good, but there is a risk of a negative impact on the environment and human health. Winova develops antibacterial products with as little environmental impact as possible. Philip Wilhelmsson, a biochemist and microbiologist, founded Winova in 2006 as a family business. 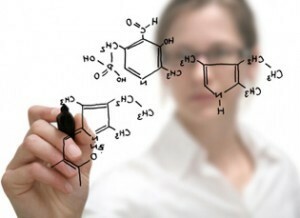 The intention was to develop and commercialize antibacterial products with as little environmental impact as possible. “Our first focus was on gentle chemical methods for water treatment in industrial systems to prevent the growth of microorganisms in the water in cooling towers. It turned out that the same technology can be used for disinfecting hands and surfaces, and we therefore developed a range of consumer products and products for hospitals and medical clinics. Consumer products we gather under the brand Hygiene of Sweden ® and we have now established ourselves in India,” says Wilhelmsson. By means of portable measuring equipment Winova examines the water system and determines the total levels of microorganisms. The method is based on the energy metabolism of living organisms and is determined by measuring the concentration of cATP. This energy substance is only found in living cells, which means that the risk of dead organic material is not included in the measurement. The analysis is the basis for the next steps in the water treatment. Normally cleaning of water and bacterial control includes a number of stages, and before treatment the system is drained. With special equipment aerosol is created – a mist of microscopic liquid particles – which contain the active antibacterial substance. The aerosol reaches the surfaces of the water system and reduces the concentration of microorganisms and thus creates a safe working environment. Winova uses an “intelligent biocide” consisting of an advanced polymer. The polymer is inert and hydrophobic (water repellent) and sticks easily to the hard surface and organic matter. The hydrophobic properties contribute to the bactericidal substances that are anchored to the polymer, a long-term effect that counteracts the development of biofilms. Then the surfaces are washed free from organic material with a detergent. In a subsequent purification step, the organic acids and the process concludes with the water once more subjected to the anti-microbial aerosol. The intelligent biocide attaches on surfaces and prevents the growth of microorganisms. After this, the microorganisms are normally kept in check by Winova’s methods, a combination of low concentrations of biocides, or other control methods. 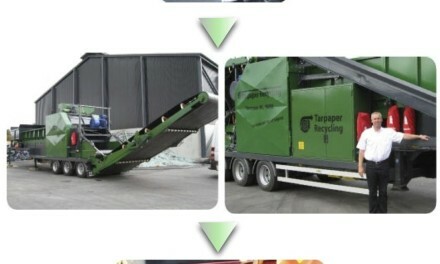 “Our method of water treatment has several positive effects. It eliminates bacteria, cleans, has a long-term effect, does not form hazardous waste and reduces the use of traditional biocides. 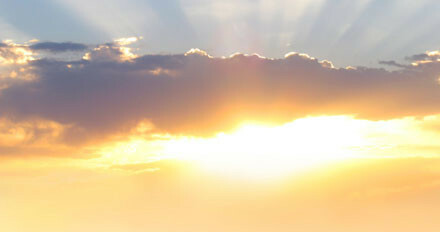 We also see that the method in terms of energy is more efficient than ozone or ultraviolet treatment,” says Wilhelmsson. “What is also interesting is that our technique can be used to disinfect skin and surfaces, something that is of great value both in the home and in health care. The traditional hand alcohol provides only an effect for the duration of the alcohol. Unfortunately, it is quite common that people get bothered by too frequent use of hand disinfectant,” says Wilhemson. The intelligent biocide is available in a hand foam called Bacteria Shield and according to Winova eliminates 99.999 percent of the pathogenic bacteria, and provides long-lasting protection. The product has been used by the Swedish ski team for two years and proved that skin problems – cracks – could be avoided. Problems were compounded by the daily use of ski gloves. The national ski team also uses Winova’s method by injecting a bacterial aerosol in buildings where they stay, such as the buses or hotel rooms. Even the newly opened hotel at the hospital in Malmö will use the germicidal aerosol to prevent the spread of germs that cause the hospital disease (MSRA). The polymer-based biocide in Winova’s products have a positive impact on the chlorine content of swimming pools. 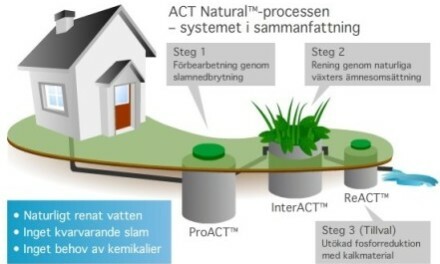 The Swedish Agency for Economic and Regional Growth has expressed interest in the eco-friendly technology for the control of microorganisms in water systems. It has been shown that the polymer- biocide has a positive impact on the chlorine level in a swimming pool or a spa. By reducing chlorine usage – without increasing the risk of bacterial infections – can the adverse effects of chlorinated water be reduced. This includes the smell, bleaching effect and the risks of skin allergies and asthma in children. Recently, Winova won a grant from the Swedish Agency for Economic and Regional Growth to develop technologies to reduce the negative effects of chlorine. 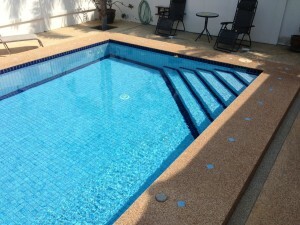 “We have made several tests of the method in pools in Thailand and India and seen good results. Now we will work further to refine the process and the support of the Swedish Agency for Economic and Regional Growth is helping. This is a product with great potential in the global market,” concludes Wilhelmsson.